Consider any high profile, life-threatening emergency that has occurred recently. A bevvy of trained, dedicated professionals serves as first responders. They tend to individuals directly affected. At the same time, they mitigate the consequences of threats to public health and safety. Among this cadre of professionals are public information officers (PIOs). These individuals gather and disseminate information critical to those affected by the emergency. Typically, they assume these emergency response duties on top of their routine work. These responsibilities require different skill sets and training, with little margin for error. 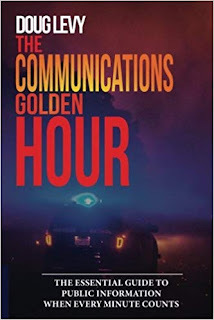 Doug Levy wrote The Communications Golden Hour to help PIOs in emergency situations. It aims to guide them as they work to “prime the pump of credible, shareable information” (pg. xii) during the most trying circumstances. Levy is ideally suited for the task. He’s had PIO duty in emergency incidents and was incident commander in several, mostly while he held university administration jobs at Columbia University and University of California, San Francisco. Perhaps more importantly, Levy has guided, advised, and trained command staff before, during, and after emergencies. He also helped to craft communications protocols and plans. 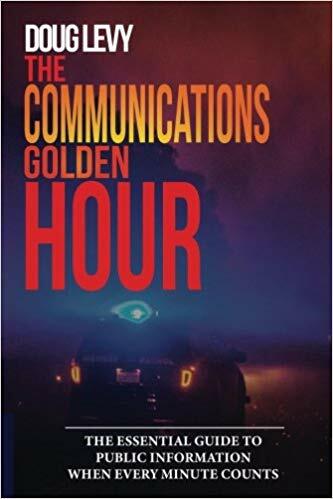 In short, Levy has “been there and done that.” He's grappled with what PIOs confront in emergencies: rapid-fire communications and decision-making processes. The “Golden Hour” refers to the initial period after an emergency. It demands quick, calm, and accurate communication. The scale of the emergency must be determined. Messages need to be refined and tailored for individual audiences. Appropriate spokespeople are assigned. Finally, the optimal mix of tools to communicate are employed. Here Levy emphasizes the need to identify the SOCO (single overriding communications objective). He also elaborates on the elements in effective emergency messaging. Levy deftly addresses the aforementioned topics and more. He poses probing questions to challenge practitioners. He urges them to reflect on emergency response responsibilities before they need to. To this end, Levy provides detailed, minute-by-minute communications from the initial phases of select emergencies. These model the lessons he’s attempting to impart to the reader elsewhere in this work. To that end, Levy argues persuasively for the need to plan in advance. This effort includes knowing your “circle of influencers” (pg. 18). It requires spending time getting to build relationships. It means getting to know emergency response team members in your community and organization. Provided additional insight into what “traditional” news media look for in an emergency and how they work. These suggestions aside, Levy should be commended for his ability to meld his experience and insight in this highly readable work. He has delivered an invaluable “how to” guide for practitioners. It undoubtedly will benefit PIOs regardless of their level of experience.